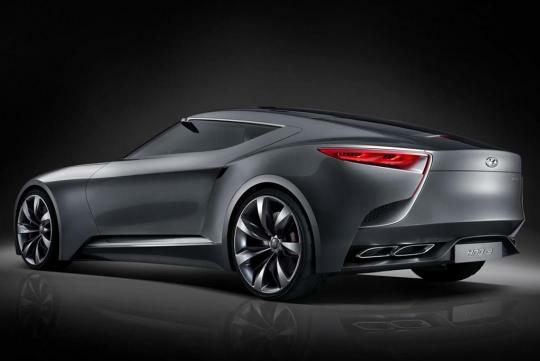 Hyundai has unwrapped the HND-9 Sports Coupe Concept at the 2013 Seoul Motor Show that runs from 28th March to 7th April. 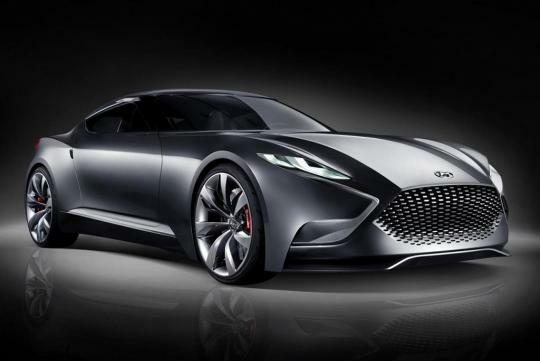 The concept is said to preview the next generation Genesis Coupe and is intended to showcase the design elements of its future products and evolution of the brand's 'Fluidic Sculpture' design language. The rear-wheel driven concept has an elongated hood, butterfly doors, hexagonal-shaped grille, quad exhaust pipe setup and wears 22-inch alloys. From a certain angle, the windscreen and roofline resemble those found on Saab products. 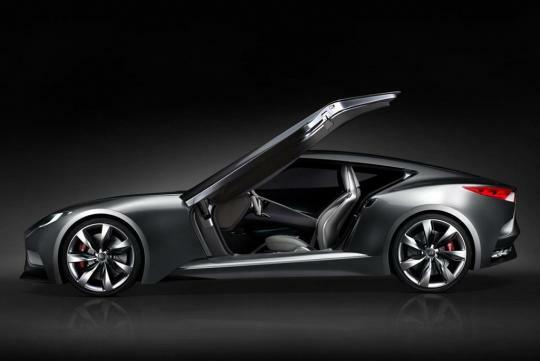 The concept measures 4,695mm long, 1,890mm wide and 1,340mm tall with a wheelbase of 2,860mm. 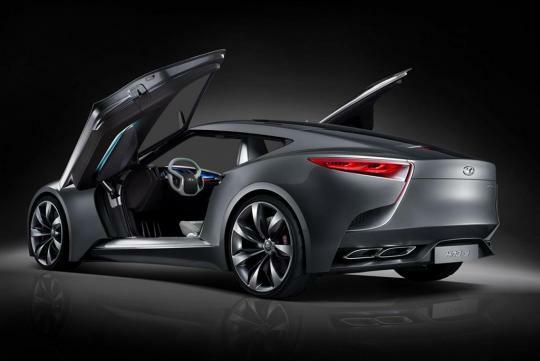 The HND-9 Sports Concept is powered by a 3.3-litre turbocharged, direct-injection engine which is good for 364bhp. The engine is paired with an eight-speed automatic transmission. 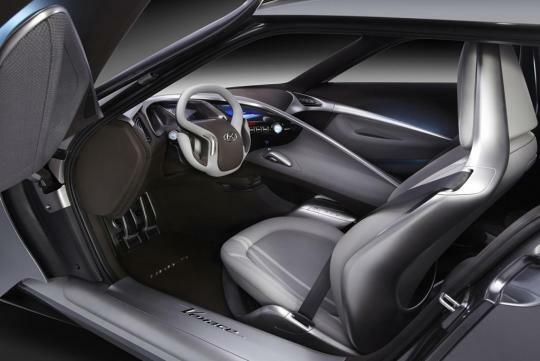 On the inside, the dashboard is highly driver-oriented and modeled after a cockpit for that sporty feel. Do pay attention to the unconventionally-shaped steering wheel. Last but not least, the seats project different colours depending on the angle of sight. quite similar to LF-FC... with that ridiculous front grill. Going with the latest technology, yes it is applicable in transport system too. Airportcarsonnet.com is doing the same for providing better service to its clients. I came to know the professional excellence of these people when I booked their Mercedes Viano chauffeur last month. They are using an up-to-date navigation system to minimise the travelling time and traffic delays. The vehicle was very clean, comfortable and climate controlled. It was really a loving experience when I spend my time in Mercedes Viano chauffeur from airport to my destination. At Aspire Limousines, we have a new wedding package special that offers HUGE cost saving for your special day! Why not ring us or leave message for any enquiries!